What is the Consequence of a Guilty Plea? In the majority of criminal cases, defendants plead guilty pursuant to a plea agreement with prosecutors. But what does pleading guilty actual entail? A guilty plea results in conviction. By pleading guilty, the defendant admits to all elements of the crimes to which he is pleading. Likewise, the defendant admits that all material facts alleged in the charges are true. Therefore, a guilty plea serves as an adjudication on the merits of a case. By submitting a guilty plea, a defendant waives a number of constitutional protections. A guilty plea results in the waiver of the right to a jury trial, the right against self-incrimination, and the right to confront witnesses. A defendant also waives the right to challenge non-jurisdictional defects in the case that occurred prior to the plea, such as improper search and seizure, false confession, entrapment, or prosecutorial defects. Certain other defects are waived if they have not been raised prior to entry of the guilty plea, such as violation of the right to a speedy trial or a statute of limitations claim. While a defendant’s guilty plea does not automatically waive the right to an appeal, many plea agreements require that a defendant affirmatively waive the right to appeal. A defendant does not waive the right to challenge jurisdictional defects in a case, such as the court’s lack of subject matter or territorial jurisdiction over the case. Examples of jurisdictional defects include violation of the double jeopardy clause or a failure of the charging document to adequately state a charge against the defendant. 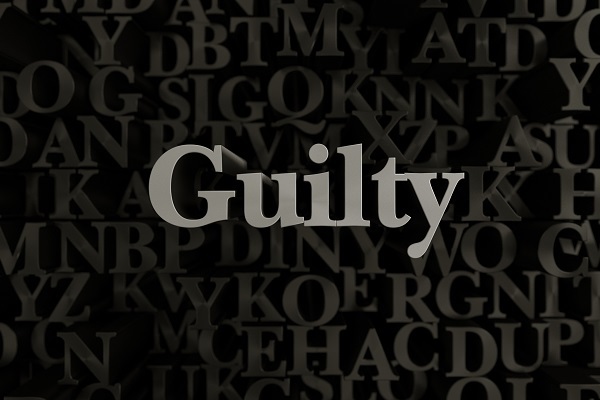 A guilty plea is only effective if it is made voluntarily, knowingly, and intelligently. The voluntariness requirement mandates that the defendant be legally competent at the time the plea is entered. Legal competence requires that the defendant understands the proceedings against him and is able to meaningfully consult with his defense counsel. Prosecutorial misconduct may render a guilty plea involuntary. For example, if the prosecution withholds exculpatory evidence, the defendant may be allowed to challenge a guilty plea as involuntary. However, in order to challenge the guilty plea, the defendant must prove that the prosecutorial misconduct resulted in prejudice. Therefore, following the above example, a defendant may not be able to challenge his guilty plea if the court deems the exculpatory evidence was not material to the case or if the withholding of it did not induce the defendant to plead guilty. A defendant may also challenge his guilty plea as involuntary if he can prove that he suffered from ineffective assistance of counsel at the time he entered the plea. To overturn a guilty plea based on ineffective assistance of counsel, a defendant must prove both that his attorney was incompetent and that it is reasonably likely that his case would have turned out more favorably if not for his attorney’s incompetence. Oberheiden, P.C. is a team of former federal and former state prosecutors and experienced criminal defense attorneys that defend individuals and companies in all stages of a government investigation. If you have been charged with a federal crime, you should speak to a lawyer immediately. The attorneys at Oberheiden, P.C. are standing by seven days a week – including weekends. Call today for a free and confidential consultation.